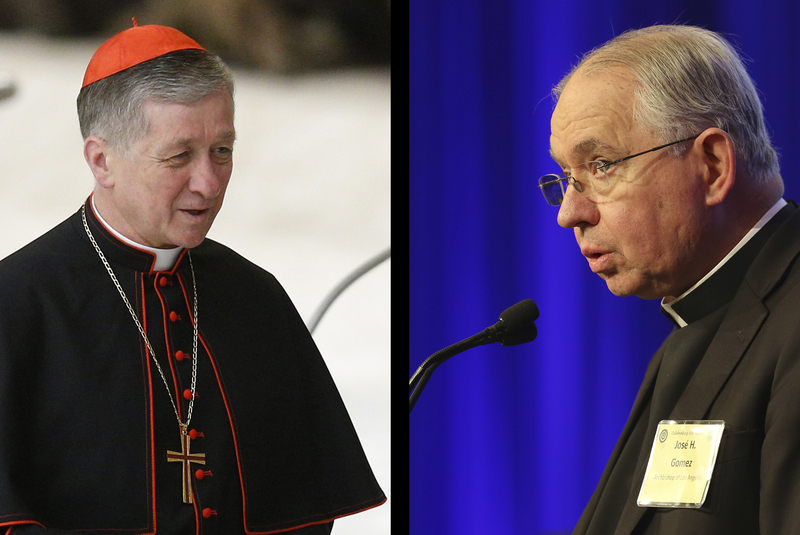 Cardinal Blase J. Cupich of Chicago and Archbishop Jose H. Gomez of Los Angeles will be among dozens of U.S. church leaders convening in June to address the troublesome polarization that marks church and political life and develop steps to work toward achieving the common good. The June 4-6 gathering at Georgetown University, "Though Many, One: Overcoming Polarization Through Catholic Social Thought," is meant to be a starting point to bring about Pope Francis' vision of the church responding to human hurts and social challenges by living out the joy of the Gospel, organizers said. The two prelates, at times perceived as representing "liberal" (Cardinal Cupich) and "conservative" (Archbishop Gomez) perspectives in the American Catholic Church, will be part of an emerging dialogue that planners hope will build stronger relationships and overcome long-standing divides. "This is a much-needed step to help overcome the polarization we see in our church and in our country," said Kim Daniels, a planner of the gathering who is a consultor to the U.S. bishops' Committee for Religious Liberty and a member of Vatican's Secretariat for Communications. "That polarization hurts our evangelizing and witness for the common good." John Carr, director of the Initiative on Catholic Social Thought at Georgetown University, which is convening the gathering with other church organizations, echoed Daniels' concern. "This is an attempt in a more focused and strategic way to look at how this unnecessary and unhelpful polarization reduces our ability (as Catholics) to make a difference in a really divided country," Carr said. "We're not going to debate economic issues or this controversy or that controversy. We're going to explore the causes, the costs and how to overcome polarization which undermines (the church's) public witness," he told Catholic News Service. "The beauty of Catholic social teaching is it connects things that are not connected in politics-as-usual and we want to help make those connections," he added. The June gathering also will advance the pope's new apostolic exhortation, "Gaudete et Exsultate" ("Rejoice and Be Glad"), on "the call to holiness in today's world." "We're trying to respond to Pope Francis' reminder that the church is a field hospital and to work in the concrete and not the abstract and work across ideological and political and economic lines," she explained. In addition to Cardinal Cupich and Archbishop Gomez, a public session will feature Helen Alvare, professor of law at George Mason University's Antonin Scalia Law School, and Sister Teresa Maya, a member of the Sisters of Charity of the Incarnate Word from San Antonio, who is president of the Leadership Conference of Women Religious. Participants also will be asked to develop an action plan to follow up on when they return to their home offices, dioceses and parishes. The idea is for each participant to "address polarization in their spheres," Daniels said. "We're high on building relationships," Carr said. "It's hard to prejudge people that you've met." When either of these bishops starts advocating for those who oppose what they recommend, then they may be taken seriously. It is amazing to me that the biggest polarization among the bishops is Amoris Laetitia and this was not mentioned. The laity see clearly the division within our Church. Many wonder how the bishops are going to work through their theological differences on this monumental Apostolic Exhortation that provides a pastoral pathway to Holy Communion for the divorced and remarried under certain conditions. How can it be possible that a divorced and remarried couple can receive the Eucharist in one U.S. Diocese but be refused it in another? I know this well. Many people who live in Charlotte, NC come from New Jersey, California and Illinois where at least three bishops from these States supports AL but the bishop of Charlotte does not. The bishops owe the faithful an understandable explanation and a solution to this crisis in truth.